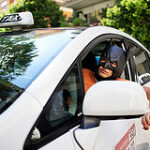 179/365 – “I’m Batman” nr.29, a photo by Luca Rossini on Flickr. 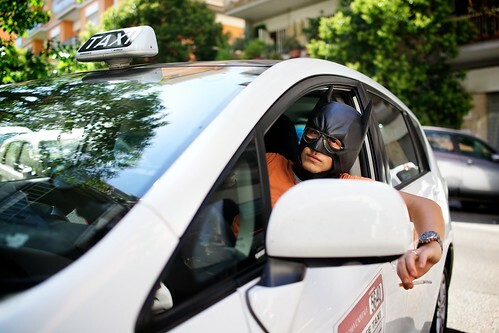 Twenty-Ninth day of the “I’m Batman” theme, it’s Saturday again and the Bat-Taxi-Driver is ready to drive the citizens to the airport as fast as his Bat-Taxi can (which is way faster than with any standard Taxi). Between a ride and the other he stays in, window open, having a Bat-Smoke as any respectable Taxi driver.